If you’ve been reading my blog for a while, you’ll know I’m an advocate for additional netting at baseball stadiums. I advocated this even before the little girl was severely injured by Freddie Galvis this season at Citizens Bank Park. You can read my earlier post HERE. What you didn’t see was a fan who was knocked UNCONSCIOUS during Game 7 of the World Series! It wasn’t covered on TV! Why? Because MLB doesn’t want to admit it can be life altering to attend a game. 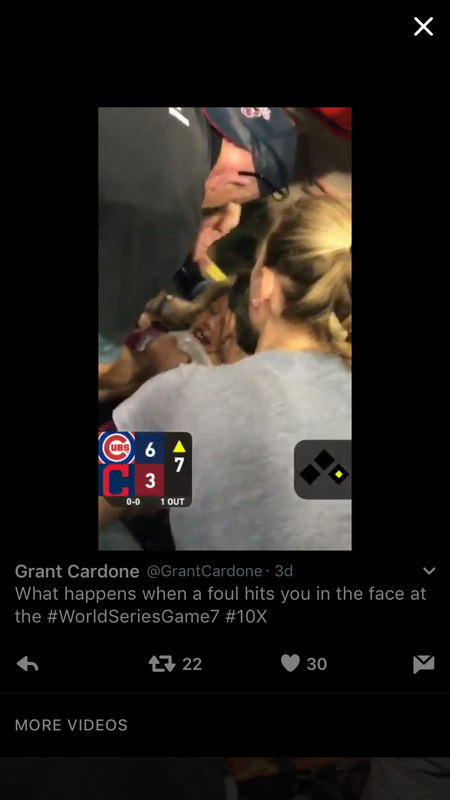 The New York Times ran an article outlining not only the injurysustained during Game 7 but also how an elderly woman was hit in the cheek fracturing the bone and destroying her eye. The woman is now permanently disabled and unable to leave her home due to her impaired and limited vision. You can read the NYT article HERE. How many people have to get injured, disfigured or even DIE, yes people have been killed at baseball games, before fans are protected? Is getting a free baseball so great that it outweighs the danger? In 1970, a Manny Mota foul hit young Alan Fish at Dodgers Stadium…three days later Alan Fish was dead. Manny Mota has to live the rest of this life knowing he killed a kid. Still, MLB does nothing. When a young girl was killed at an NHL game, the NHL acted swiftly and within a few months ALL arenas were required to have protective netting. Baseball argues that fans are warned of possible injury from objects leaving the playing surface…but are fans who sit over the dugout warned that they are sitting in the “Danger Zone”? Does it say on your ticket that you could be at risk of serious injury? Do they make sure that fans are nimble enough to move out of the way of a 100mph line drive foul? People come to games and think they are safe, and most are, but I can guarantee you that those who have been injured or have seen some of these injuries will be sitting behind the net-if they can afford it as the only “safe” seats are behind home. May be the answer is movable netting, similar to the netting used to proctect fans in the end zone from extra points at football games. With those, you still have the intimacy but without the danger. Even as a photographer, I’d rather sit behind netting. With a decent camera, you can compensate for the netting. Even still, I want to be safe. I was hit by a puck at an AHL game I understand how painful and life threatening being hit by a projectile can be. Trust me, I am lucky to be alive. Sadly, Alan Fish can’t say that.